Mag-Float, le nettoyeur d’aquarium flottant révolutionnaire, permet de supprimer les algues de votre aquarium sans vous mouiller les mains. Super convenient floating cleaner, cleans aquarium surfaces and floats when the inner magnet separates from the outer magnet. Because you never have to reach into the aquarium, not only can you stay clean and dry, but also avoid toxic lotions or soap residue on your skin from getting into your aquarium water. The Mag-Float’s powerful rare earth neodymium magnets provide a lifetime durability and ample strength to get the job done. Simply move the outside magnet that contains the felt, and the inside abrasive velcro magnet scrubber follows, cleaning as it goes. If the magnets separate, the inner magnet floats right back to the surface, so you’ll never have to dig around on the bottom. This prevents the magnet from picking up any debris and causing scratches on your tank. 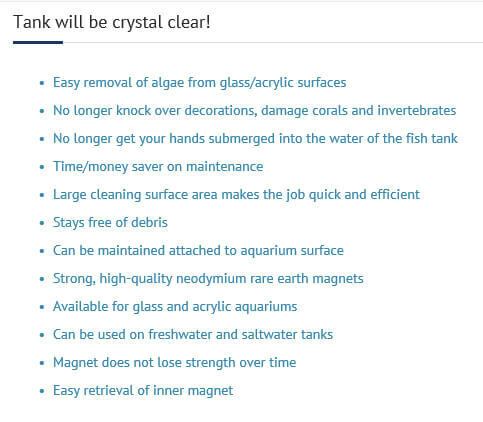 Its unique floating feature also permits easy and efficient movement around the corners of fish tanks, so you will no longer knock over decorations and damage corals and invertebrates as it happens with sinking magnet cleaners. The neodymium magnets are covered by an injection- molded and toxic free plastic; preventing water contact with the magnet. 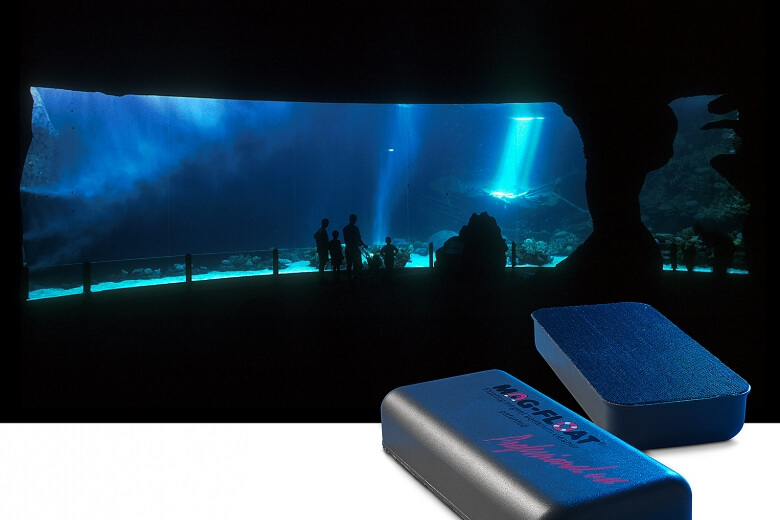 Therefore rust will never occur allowing the Mag-Float® to be left attached to your aquarium surface at all times. 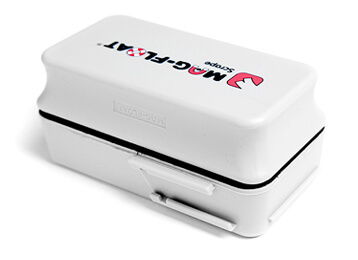 This makes it convenient, and practical for storage and the next cleanup job. Your tank size, surface thickness, and shape will determine which of the 11 models will best match your tank. 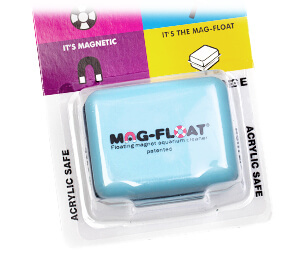 From as little as small betta bowls to public aquariums, glass or acrylic, Mag-Float® covers the entire spectrum.